FIRST SPANISH BUSINESS BREAKFAST - Cehaus Webseite! 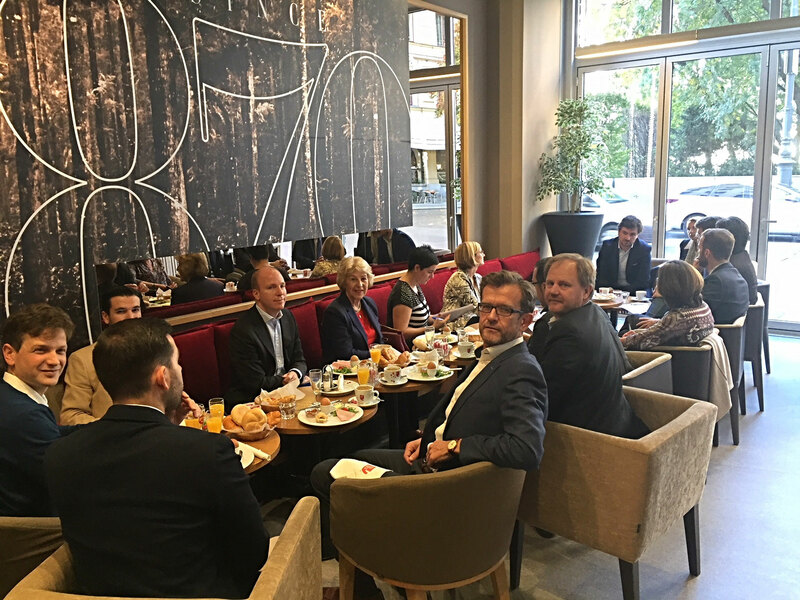 On October 12th 2017 was held the first Spanish Business Breakfast organised by CEHAUS. This first appointment was attended by a representative number of CEHAUS-members that use this new platform for an enriching business exchange. Gonzalo Moreno-Muñoz on behalf of FREQUENTIS AG, introduced his area of responsibility in several aspects around the business relationships with Spain and Latinamerica, going beyond the classic business models using partnership agreements and academia collaboration.